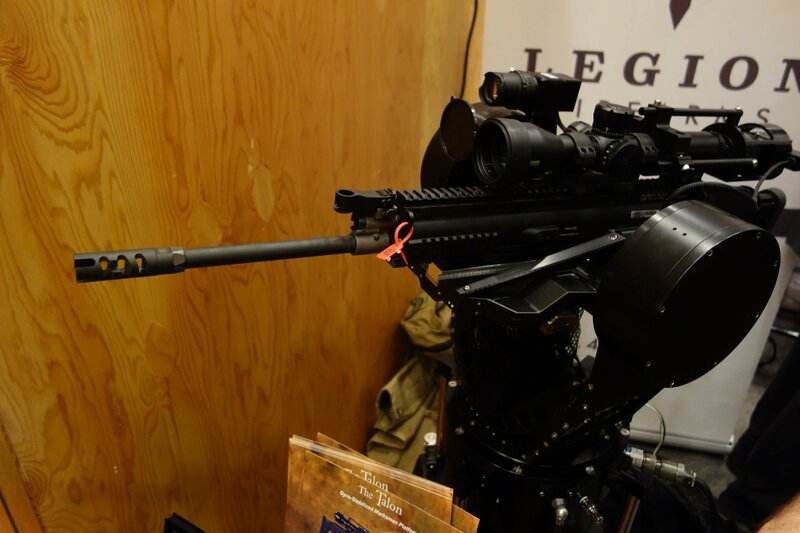 Paradigm SRP Talon Gyro-Stabilized Marksman Platform/Universal Weapons Mount (GSMP/UWM): Gun Mount for Sniping while Moving…Fast (Video!) | DefenseReview.com (DR): An online tactical technology and military defense technology magazine with particular focus on the latest and greatest tactical firearms news (tactical gun news), tactical gear news and tactical shooting news. All photo content and the first/top video contained in this article were shot by DefenseReview.com, and are copyrighted. DefenseReview.com owns the copyright on all photo content and the first/top video content. All DR photos and videos were shot with a Sony Cyber-shot RX100 (DSC-RX100/B) Digital Camera with 20.2 MP (20.2-megapixel) still camera and 1080p HD video camera capability. 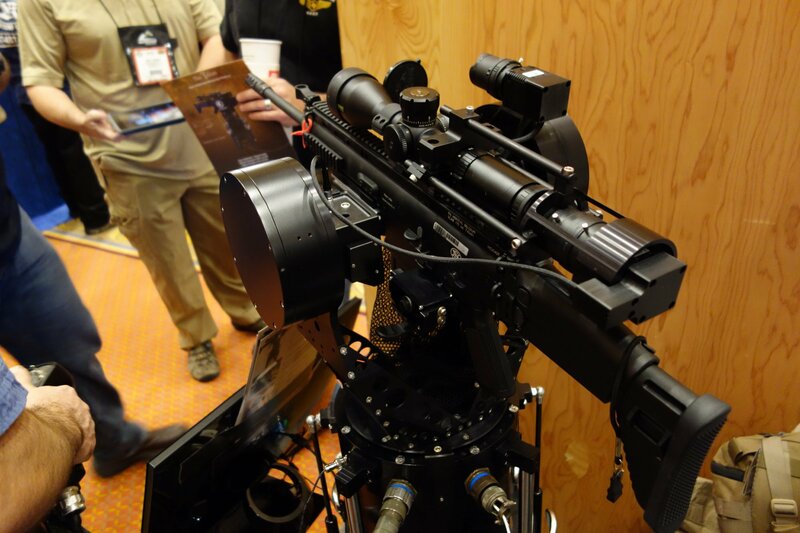 If you're mounting a gun on a ground vehicle, aircraft, or watercraft/boat, you want to go gyro-stabilized, regardless of whether it's full-auto or semi-auto. 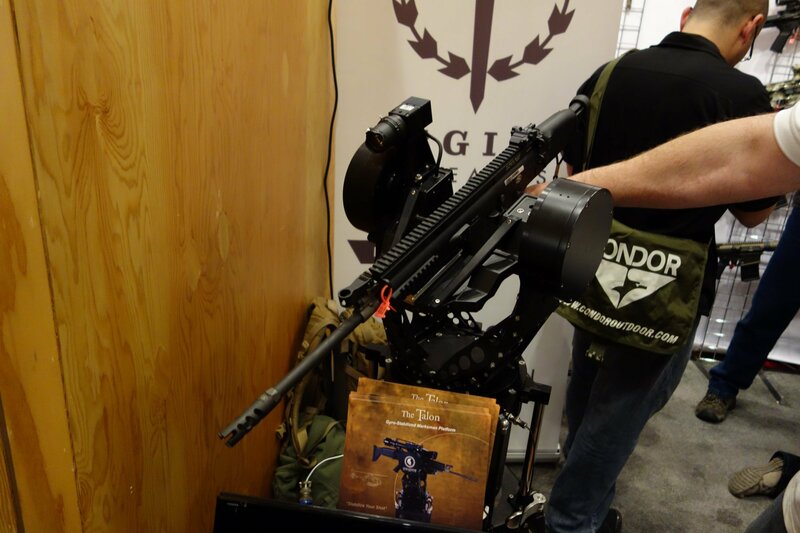 However, a company called Paradigm SRP introduced a marksman/sniper-specific gyroscopic weapons mount called the Talon Gyro-Stabilized Marksman Platform/Universal Weapons Mount (GSMP/UWM), which will allow a marksman or sniper to engage the enemy with precise shots on the move, even at high speed. DefenseReview got to see the Talon GSMP up close and personal at the Legion Firearms booth at SHOT Show 2013, and the system looked impressive. 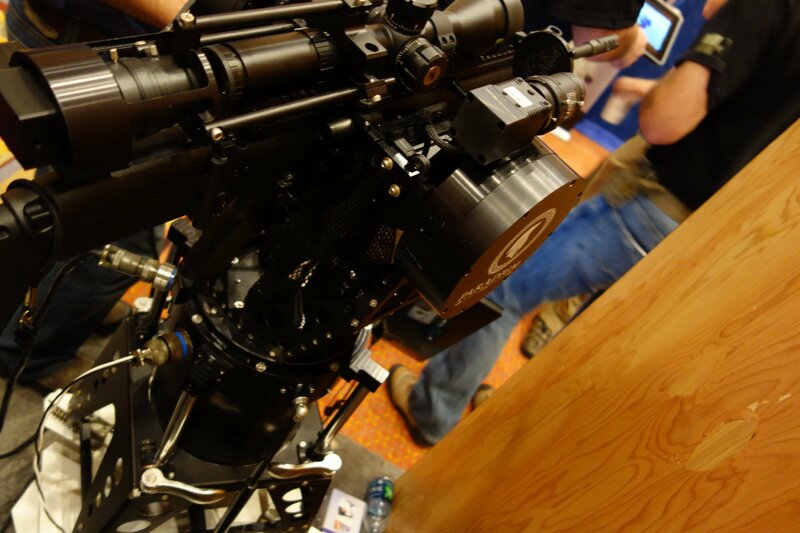 Capabilities-wise, it immediately reminded us of the Perfect Horizon Vehicle Weapon Stabilization System/Platform made and marketed by Motion Picture Marine (MPM). 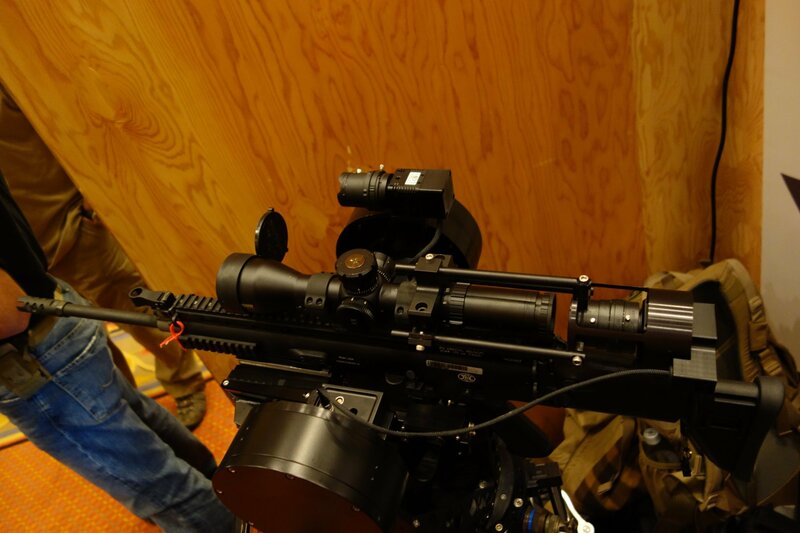 A Perfect Horizon demonstation video was shown privately to U.S. military personnel at NDIA Infantry Small Arms Systems Symposium 2007, and DR sneaked a peek of it. However, the Perfect Horizon gun mount system was designed for firing machine guns, not precision semi-auto marksman/sniper rifles, from a moving vehicle. The user/marksman can obviously take the shot using the hand controller and utilize its picture-in-picture aspect to switch back and forth between scope view and wide-angle view, and track and engage targets at up to 60 degrees per second. Defense Review is particularly intrigued by the adjusted-range aspect that enables angular shooting while moving. At SHOT Show, the system was outfitted with an FN SCAR 17S semi-auto-only tactical rifle/carbine/SBR (Short Barreled Rifle). However, the new Legion Firearms 7.62mm NATO (7.62x51mm NATO)/.308 Win. tactical AR rifle/carbines, including the Legion LF-10D .308 AR rifle/carbine, would appear to be excellent weapons components for the system (perhaps outfitted with a SureFire MAG5-60 HCM 60-shot AR mag or some other high-capacity 4179 STANAG AR mag). We're also interested to know whether or not the system could be integrated with the TrackingPoint XactSystem Precision Guided Firearm (PGF) sniper rifle package with integrated networked tracking scope.